Tips for a Flawless Shave with Venus Swirl. I'm obsessed with having soft, smooth silky skin. There is only one way to get it in my opinion and that is by shaving with a Gillette razor. I usually use a Venus Embrace razor on my underarms and a Venus & Olay Razor on my legs. Well, I think I am throwing both of those away because they just introduced a new razor and if you can believe it, this new one is blowing that one out of the water. Introducing the new Gillette Venus Swirl. Designed by women for women, this new innovation combines the innovative movement of FLEXIBALL technology with the new individually adjusting Contour blades to set a new standard in shaving. It ensures that the tricky areas are not so tricky anymore. You know the knees, ankles, underarms and all those little unmentionable crevices that we need to shave? This razor shaves them with ease! 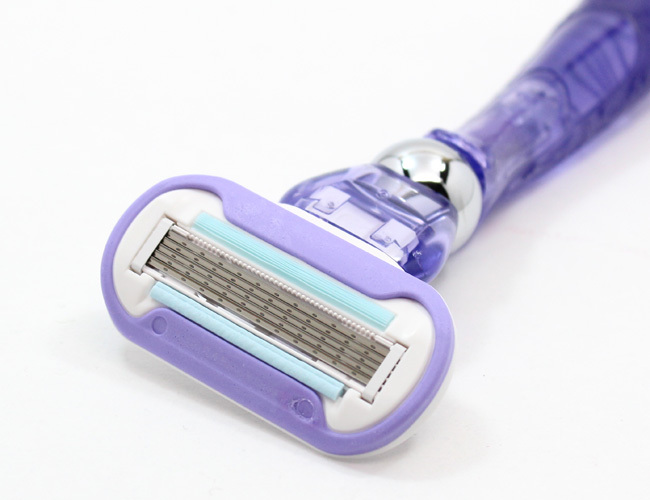 The Venus Swirl literally moves like no other razor. It really covers every unique curve and contour of the body as it sweeps away hair. That means skin is left flawless and super smooth. I can't believe that even the razor is different; I didn't think that could be improved but it has been. Venus Swirl's new Microfine Comb along with the five Contour blades make pesky hairs a breeze. I am not missing a hair around my ankles anymore as virtually every hair is captured. Read on below for tips on how to achieve a flawless shave. The Gillette Venus Swirl comes with ones with one razor and 2 blade refills for about $12.59 with a four-pack of blade refills for about $20.99. You can find this new innovation at you favorite drugstore or mass retailer now. It is important to never rush when shaving for the ultimate smooth shave. Especially with the new Flexiball technology, you will want to get the best out of the technology and use the unique movement to your advantage. While you get used to the new movement, definitely go slow, slower than normal and start with shorter strokes, especially around tricky areas like knees and ankles. Once you get used to it, you will appreciate the technology and be a pro in no time. This is the most advanced blade technology ever, so the blades are thinner and finer than ever before. They will provide you with an ultra-close shave. You do not need to press hard to get a close shave, it will happen with the razor. It's best to use a lubricant when shaving so help the razor glide over the skin. A good one to try is the new Venus Shave Gel with a Touch of Olay called Olay Violet Swirl ($2.99). It also helps you prevent missed spots as it provides a guide.